Carpet cleaning should involve a little more than mere vacuuming. That this activity is far less effective than people think. 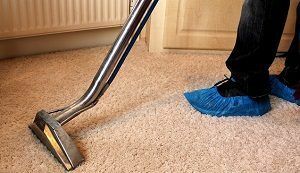 The reason is that dirt, dust and all those solid particles that spoil carpets are deeply ingrained within the fibres. No vacuum can ever lift off everything. For this reason, you need alternatives. What better way to handle the task of carpet cleaning than hiring our company – The Top Carpet Cleaning? We have been providing expert carpet cleaning in Crouch End for a number of years now. We like to utilise the eco-friendly method of steam carpet cleaning. It doesn’t introduce harmful chemicals and ingredients. Since we care about the environment, we wouldn’t want to pollute it with troublesome products. For this reason, our carpet cleaning service focuses on the perfect result without any drawback. 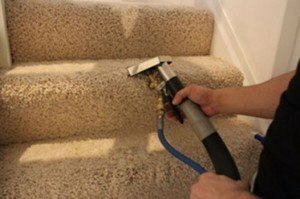 Regardless what type your carpet is, we have the best solution for cleaning it. Get in touch on 020 3322 8944 and you can learn more about our fantastic carpet cleaning service. Worry not about the price! Since our company has been on the market for some time now, we have taken steps to reduce our prices as much as possible. As a result, you can expect to receive the best offer in Crouch End. But keep in mind that our affordable price list doesn’t mean the service we offer at The Top Carpet Cleaning is inferior in any way! On the contrary, we provide the best value for the prince in all of London, and we can prove it! Give us a call on 020 3322 8944 to book our service. You will quickly know that you have made the right choice. Crouch End is one of the areas of the London Borough of Haringey. It is in the north part of London, among several other areas: Archway, Muswell Hill, Stroud Green, Harringay, Hornsey, Wood Green and Highgate. There are many playing fields around it as well as Queen’s Wood and Highgate Wood. Crouch End saw great progress in the Victorian period. A Large part of its streets was developed in the 19th century. Later on, during the post-war year, Crouch End became a popular student bedsit destination. Nowadays, one of the landmark buildings of the area is the Hornsey Town Hall, build in modernistic style in 1933-1935. You will be thrilled after you see the outcome of our carpet cleaning in Crouch End. So don’t waste any more time, and contact our friendly customer support team on 020 3322 8944.